The top photograph appears to be Taco Bell's Sausage Waffle Taco as pictured on Taco Bell's advertisements. 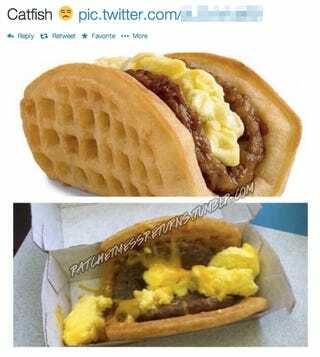 The bottom photograph appears to be a real Sausage Waffle Taco. Via Ratchetmess.